The 2014 Los Angeles awards were given out on the evening of Saturday, September 27, 2014, just after midnight. 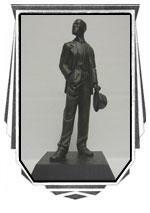 The award statuettes this year were provided by sculptors Joe Broers and Anthony Parker. 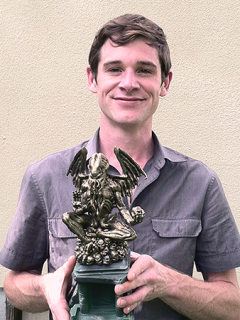 Mr. Broers sculpted a rendering of Cthulhu as drawn by Lovecraft, which we awarded as the Judge's Choice and Audience Choice Award. He also provided a special jar with "Spanish Joe" as the Best Screenplay Award, Anthony Parker sculpted a cthonian that was awarded for the Most Lovecraftian movie. The 2014 Portland awards were given out on the evening of Sunday, April 13, 2014. The award statuettes this year were provided by sculptors extraordinaire Joe Broers and Bryan Moore. Mr. Broers sculpted a rendering of Cthulhu as drawn by Lovecraft, which we awarded to Best Short, Feature, Screenplay, and Lovecraft Under The Gun winners, as well as the Pickman's Model sculpture that we awarded to our Pickman's Apprentice winner. Bryan Moore (of the H.P. 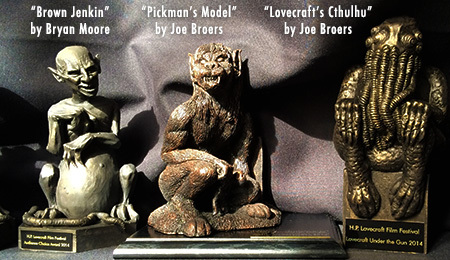 Lovecraft Bronze Bust Project) sculpted the Brown Jenkin statuette that we awarded to the Throne of Chaos Award winner and the Audience Choice winner. We have officially retired the awards provided in previous years by Michael Jones, in honor of his sudden passing in September of 2013. We will always remember your contribution to our lives, Mike. Audience Choice Award - The Sunderland Experiment (USA; Adam Petke and Sean Blau) First feature film to ever win this award, as voted on by our attendees! Pickman's Apprentice - Lee Moyer In this competition, several artists compete to create a masterpiece in only 90 minutes, based on a theme suggested by the audience on the spot! Lovecraft Under The Gun winner - Somnaphage (Michael Entler, Kara Sowles) Filmmaking teams had only 72 hours to write, shoot, edit, and score a short Lovecraftian film. Team Amelus/Monsieur Soeur have won this challenge 3 years in a row, against stiff competition. See more of Bryan Moore's work at Arkham Studios and more of Joe Broer's sculptures on his deviantArt site. 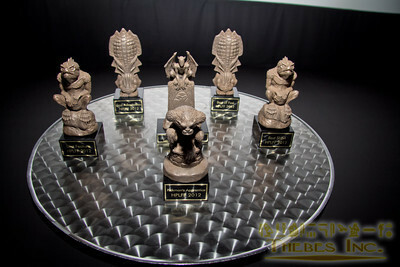 The 2013 Los Angeles Festival awards were being sculpted by true Lovecraftian and festival friend, Mike Jones, whose work can be seen in many Hollywood films. Sadly, Mike passed away suddenly, mere days before the Los Angeles festival, where he planned to attend with finished award statues in hand. When we heard this truly shocking news in December, we mounted new award statues of Mike Jones's designs from our personal collection of his work for our award recipients. You will be missed, Mike. The 2013 Portland awards were given out on the evening of Sunday, May 5, 2013. Each of our new style awards were specifically made for the festival, provided by awesome sculptor Mike Jones, finished in chrome, and mounted on a black marble block. The H.P. Lovecraft Film Festival was proud to present the Howie award for Lifetime Achievement and contributions to the Lovecraftian genre to C. Sandy Petersen, the creator of the "Call of Cthulhu" role playing game. Sandy also infused games like Doom and Quake with cosmic horror elements. He spawned a whole genre of Lovecraftian games that continues today with numerous board and video games such as Mansions of Madness, Arkham Horror, Call of Cthulhu: Dark Corners of the Earth, and many more. Not only did he introduce Lovecraftian elements to gaming, he introduced countless gamers to H.P. Lovecraft. The 2012 Los Angeles awards were given out the evening of Saturday, September 29. These included the "Deep One" by Mike Jones and the classic Brown Jenkin statuettes sculpted by Bryan Moore of Arkham Studios, as well Moore's magnificent H.P. Lovecraft statue, aka the "Howie". The Los Angeles H.P. 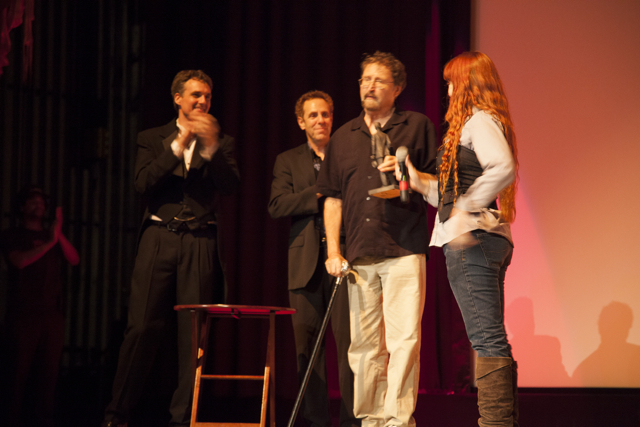 Lovecraft Film Festival was proud to bestow the 2012 "Howie" to writer and editor Michael Reaves for his contributions to Lovecraft cinema and literature. Reaves wrote the classic cartoon episode "Collect Call of Cathulhu" for The Real Ghostbusters (1987), the first time Cthulhu made an appearance on television. He also co-edited the anthology Shadows Over Baker Street featuring the mix of Sherlock Holmes and Lovecraft, including the Hugo-winning short story "A Study in Emerald" by Neil Gaiman. The Howie award was presented by Marc Scott Zicree. The 2012 Portland awards were given out on the evening of Sunday, May 13, 2012. 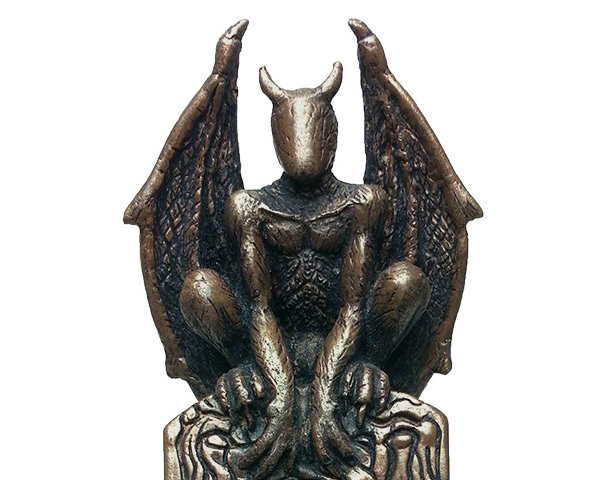 Each of our new style awards were a cold cast bronze statuette, provided by awesome sculptor Mike Jones, mounted on a black marble block. We had so many great films, it was really hard to choose! The runners up for Best Short included Stay At Home Dad (dir. by Andrew Kasch & John Skipp), Fortuna (dir. by Casey T. Malone), The Earth Rejects Him (dir. by Jared Skolnik), and Bedtime for Timmy (dir. by Thomas Nicol). In addition to film awards, we also had two special awards, one for the winner of the "Pickman's Apprentice" event, where three artists competed to create an image in 90 minutes, based on a theme supplied by the audience, and another award for the winner of the "Lovecraft Under The Gun: 72 hour film project" event, where filmmakers had 3 days to make a Lovecraftian short film from start to finish. Guest judge Guillermo del Toro announces the 2011 H.P. Lovecraft Film Festival® Brown Jenkin Short Film Awards (the 6" award was sculpted by Bryan Moore of Arkham Studios), the awards were presented by the festival founder Andrew Migliore and the HPLFF-LA festival director Aaron Vanek at the Grand Warner in San Pedro on September 17, 2011. Chris and Don were there at the Warner Grand theater to accept their award, we sent the statue to Gib who was in New York at the time. Apparently Chris and Don said they were literally covering their mouths and waving their free hand to stay silent and listen to Guillermo's praise. The festival founder also gave special consideration to "Shadow of the Unnamable" by Sascha Renninger for Best Short Lovecraft Adaptation. Once again we thank all the filmmakers for their submissions this year. Picture in the House and Silas and the Tomb were also both nominated for Best Adaptation. Congrats to all and our deepest thanks! The 2009 Howie award went to director and screenwriter Dan O'Bannon. The top winners, thanks to our great sponsors, get FilmTracker memberships and DVD replication from Bullseye disc. Both of these gentlemen have used Lovecraft's works as a springboard and have incorporated elements of it into there own works creating something new. The following screenplays were selected as best of out of a field of 54 entries. The head judges were author Robert M. Price, author Joseph S. Pulver, and festival director Andrew Migliore. The H.P. 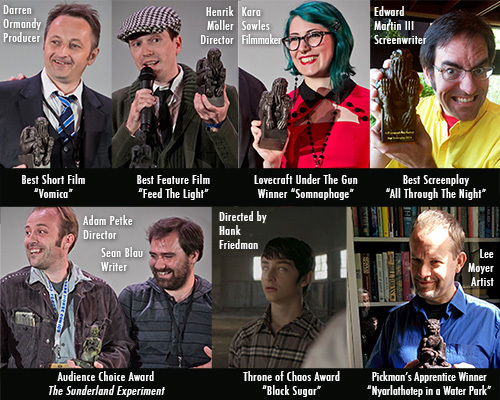 Lovecraft Award (or "Howie"), is awarded occasionally to filmmakers, directors, writers, scholars, and other people or organizations that have produced significant contributions to the genre of cosmic horror, weird tales, and the promotion of Lovecraft and his work in particular. The award was sculpted by artist Bryan Moore and first awarded to festival director Andrew Migliore by Mr. Moore and fellow filmmakers for creating the H.P. Lovecraft Film Festival. It has since been awarded on a yearly basis. 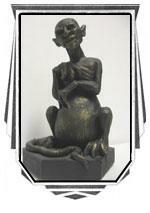 The Brown Jenkin Award represents the subtle, wicked, and evergrowing influence of filmmakers specializing in cosmic horror and weird tales. The Brown Jenkin Award is awarded annually for a variety of categories, to filmmakers, for audience awards as well as juried prizes. 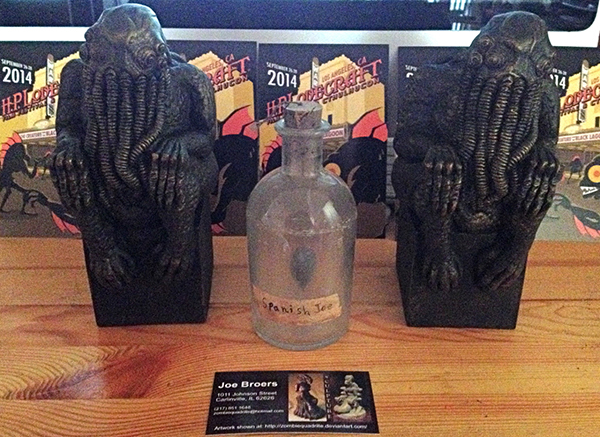 The Deep One Award is presented for the best original screenplay submitted for the festival's screenwriting competition. Audience Pick Awards (Best of the Fest) are given to the films that generate the most widespread, enthusiastic response from festival attendees.